Our cell phone network covers only 30% of Namibia. In case of emergency a Satellite Phone offers you unlimited communications from even the remotest wilderness in Southern Africa. 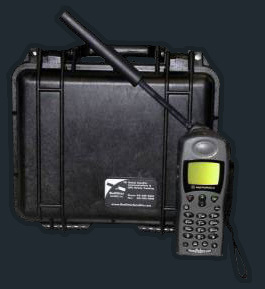 It comes in a dust and waterproof case and includes a 220 V and 12 V car charger. € 9.00 per day inclusive 10 minutes air time.